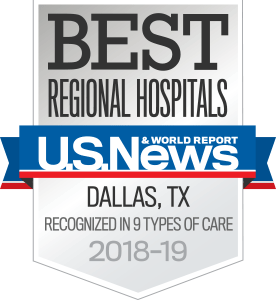 UT Southwestern Medical Center cancer rehabilitation specialists provide the comprehensive therapies needed to help manage and overcome the symptoms caused by cancer as well as continue the recovery process initiated by cancer treatments. We are dedicated to helping cancer survivors surmount the physical and psychological issues that often accompany cancer, its treatment, and the rehabilitation process. Our specialists will actively work with you and your family to provide the treatments, skills, and motivation needed to achieve a successful outcome for cancer rehabilitation. Our cancer specialists provide individualized care needed to address your unique situations – with effective pain management techniques, personalized physical, occupational and therapy programs, nutritional advice, patient education, and family counseling. To help you better adapt to your condition, we also offer a comprehensive team approach to rehabilitation that includes your oncologist, a physiatrist, nurse, physical therapist, occupational therapist, speech pathologist, dietitian, vocational counselor, social worker, psychologist, and clergy member.